Passionately anchoring action in the real world and reconciling economic and human issues. 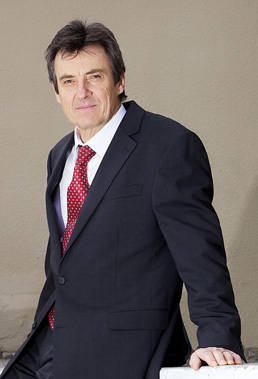 Bernard Schilles comes from the business world with practical management experience within large organizations. Taking both human and economic issues into account, he remains faithful to his clients’ business, culture and goals and designs for them customized solutions responding to the real world’s challenges. Thanks to his inquisitive and thinking out of the box capabilities acquired in Europe, Bernard is an entrepreneur. He has a reputation of an outstanding business development driven person and of a straight forward and independent ally fully committed to his clients’ success. Bernard likes to tinge his outspokenness with tact and humor and offers leaders new keys to understand emerging factors which are taking the lead on growth and internal collaboration. A graduated Engineer with an MBA, an alumnus of Hewlett Packard and Accenture, a Certified Consultant in team efficiency / team leadership and a Master in NLP, Bernard Schilles has emerged as a trusted advisor to over 40 famous corporations. Born and educated in Europe where he spent most of his career, Bernard advises, mentors and trains Executives and Managers in North America and in Europe since 1995. Bernard Schilles is a member of the TMSDI (Team Management Systems Development International) network, a worldwide organization specialized in teamwork excellence and team leadership since 1980. Over 3,800 CEOs, VPs and leaders coming from over 300 private or public organizations, from over 20 countries have regenerated their efficiency and their enthusiasm by attending to the workshops created and delivered by Bernard Schilles in English or in Parisian French. Bernard Schilles is the co-founder of the Executive Education’s “Sales Management Certificate Program” at the Sauder School of Business (University of British Columbia, Vancouver), where he teaches strategic account management to CEOs, VPs and leaders of today and tomorrow.